Stella, our first love. She's now clean and green, and the only real modern vintage scooter in America that's not just another copy of a classic style from Italy. Her pedigree is pure Italian, her charm unmistakable. Her green character and miserly gas consumption are the product of the world's most pragmatic and forward-thinking engineers in India. She still shifts like a sports car, but the engine is quiet and the vibrations are gone. In a variety of happy colors, she boasts an EPA city rating of 140 mpg. Dress her up; she's ready to go wherever you go. You can hook up a handmade, all-steel sidecar in matching colors if you want to be the coolest person on your block. 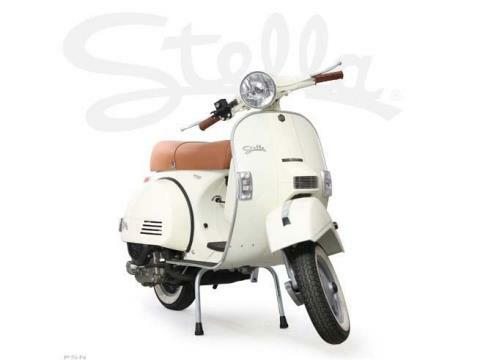 Stella, the one and only modern vintage scooter. From Genuine Scooters, who else? Can you feel the love?